A courtroom was evacuated in Detroit’s 36th District Court today, after the bailiff saw bed bugs crawling on a man who was there as a witness’s guest. When a bailiff saw bedbugs crawling on the man, he was removed from the courtroom. Court officials then cleared out the front row in which he had been sitting, before the judge asked everyone to leave the room. The man’s daughter, who did not give her name, said she knew there was a bedbug problem at her father’s house. There’s always a chance in these cases that the suspected bed bugs were something else entirely. In 2008, a West New York, New Jersey courthouse was evacuated due to what were first thought to be bed bugs. 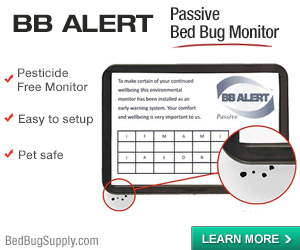 Later, the pest management professional was unable to determine if they were bed bugs, book lice or something else (more on that story here). If the Detroit man did have bed bugs crawling on him in public, and they did come from his home, he probably has a serious bed bug problem. This raises the question as to whether the man has sought treatment for the problem, or is having trouble getting treatment for some reason. We understand from Michigan’s helpful Manual for the Prevention and Control of Bed Bugs (PDF) that landlords are responsible for keeping buildings free of vermin in Michigan. 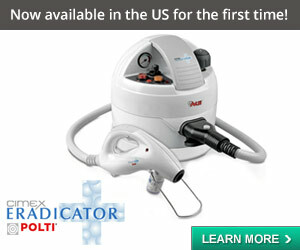 If the man is a homeowner, however, he may be unable or unwilling to pay for treatment. 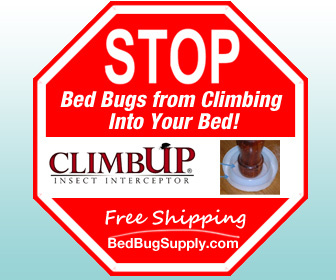 I hope that this man will soon be able to get some experienced, professional help in treating his home for bed bugs. 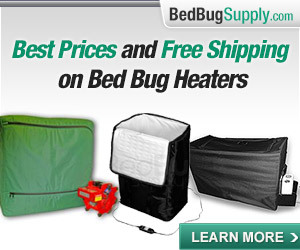 No one should have to live with a bed bug problem. And clearly, if these are bed bugs, the situation poses a risk for others in the community also. According to ABC7, the courtroom situation was being addressed by a pest control operator with a canine scent detection team. Anyone present at the courtroom today or in the near future should learn to recognize the signs of bed bugs, and inspect their homes. 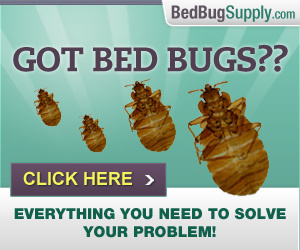 Unfortunately, bed bugs are a huge problem in Detroit. Earlier this year, it came to light that fifty Detroit city bus drivers had seen bed bugs on their buses in the past year (more on that story). And there have been reports of bed bugs in courts in Cincinnati, Brooklyn and Manhattan (actually, more than one in Manhattan). A situation very similar to what happened today in Detroit also occurred in April 2011 in Trenton, New Jersey. In that case, like this one, a courtroom visitor was spotted with suspected bed bugs on his clothing and the court was evacuated. If you cannot view the video above, you can view it on ABC7’s website here. The courtroom is open again. Hopefully the PCO will be following up! OMG. Now im really freaked out. How do i know i dont bring them out with me to others or even my car. A.) You gotta love the creepy special effects with the bb’s crawling around on the screen. B.) I bet you that judge and baliff has had BB’s and that’s why he evacuated court. Otherwise they probably wouldn’t have even cared or noticed. Notice how everyone else was super confused as to what the big deal was? 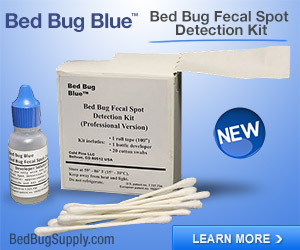 C.) I kinda hate that news caster’s giggle when she says “Bed bug sniffing dogs? I’ve never heard of such a thing! heehee!” Oh, Princess, you just might (learn of BB canine’s) someday, and those pups are just the beginning of the wild and wooley world of BB’s…..
Anywho, yes, I hope that man does seek out professional help and maybe this whole story will propel him or his landlord to?! I also hope stories like this does bring more awareness to the general public. 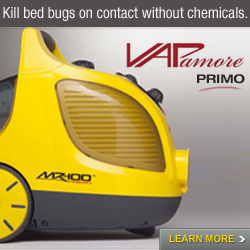 You’re unlikely to carry bed bugs around like this. It can happen that you transport one unknowingly in clothing or stuff, and we have a FAQ on simple precautions you can take (it’s in the travel FAQS, but also applies to everyday life). However, it sounds like this man had multiple bugs on him. 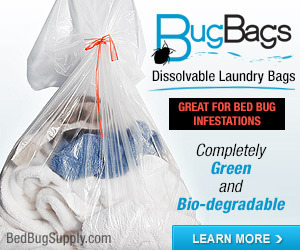 IF they were bed bugs, then it is likely the bed bugs were transported from a highly infested location. Sometimes situations like this go on for a long time without treatment or with insufficient treatment. Yes– I hope he gets help soon. 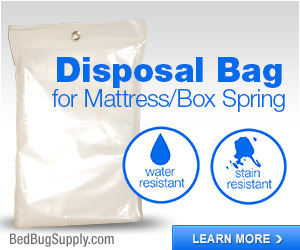 Bed bugs go untreated for all kinds of reasons besides an owner’s inability to pay for treatment, tenant’s reluctance to seek help, or a landlord’s negligence. Disability, various kinds of illness (mental or physical), can all play a role. It can be a tragic situation. Whatever the reason, someone in this situation may need outside support. I forgot to say — I loved the special effects too: looked like a bed bug walking upright in a blizzard. News organizations often come across looking a bit silly this way. I will try to dig up some older examples. I’m sorry , but they’re going to have to bring DDT back for a couple of years. I mean can anyone really afford to get rid of these little buggers? NO. Wasn’t done yet. I realize there are health and enviromental problems , but what else can we do. Honestly, please will someone consider this. DDT isn’t a panacea. 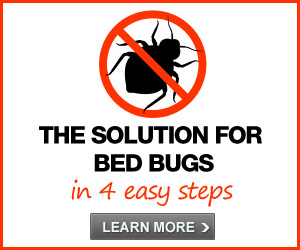 Bed bugs were already developing a resistance to it by the time it was banned in the US. And they’re developing a resistance to the pesticides currently being used. 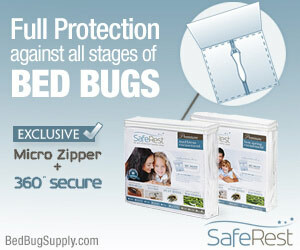 Public education and early detection are the most effective weapons against bed bugs. 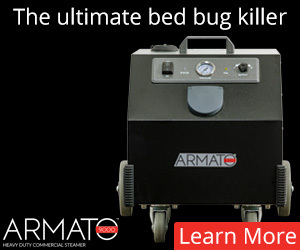 When I first learned about bed bugs, I thought that too. However, Charlie is correct. 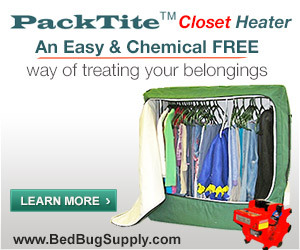 Bed bugs began to show resistance to DDT in 1948. 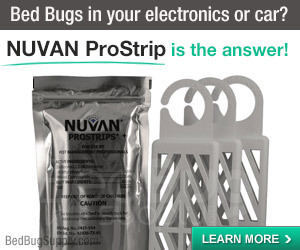 So while it was once a helpful product for diminishing the bed bug population in much of the world down to almost nothing, for decades, it is not likely to be helpful now. A recent BBC news story from Africa where it’s still used in treating malarial mosquitos suggested the bed bugs were not affected when walls of a home were sprayed. A friend of ours that does not own a clothes dryer got BBs from his middle aged son who moved back to his home after living in a shelter. This friend was retired, and spent many hours at local cafes and fast food places, talking to friends, he kept scratching his arms which were very bitten up, and one day I saw BBs running down his arm and under the table. Others saw it too. He infected our house and heaven knows who else. Finally someone called the Health Dept. He had no clue how to rid himself of them and loudly complained about the bugs in public for many months. Small town, USA. That’s an awful story, kc. This is unusual — to carry multiple bed bugs around like this, on one’s person — and it sounds like maybe the son was not showering and changing his clothing regularly. It’s very sad. I hope he gets some help and I hope you and your friend have been able to rid your homes of bed bugs. Bed bugs do travel with people and luggage. Not sure an evacuation was necessary but the person certainly should have been removed. 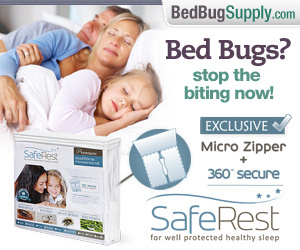 Can you just imagine seeing ANY bug crawling on a person and them totally unaware. This one was a false alarm, but I have seen the real thing when I worked on the fire department. GROSS!